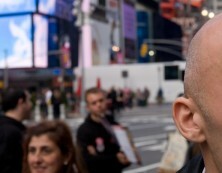 Wally Olins is a co-founder of Wolff Olins and was chairman of the company until 1997. He is chairman of Saffron Brand Consultants. He was awarded a CBE in 1999. 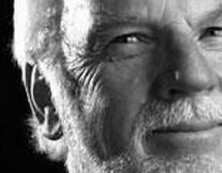 He was nominated for the Prince Philip Designers Prize in 1999 and received the Royal Society of Arts’ Bicentenary Medal for his contribution to design and marketing in 2000. 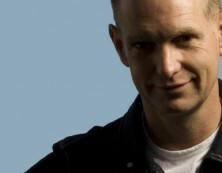 He was given the D&AD President’s Award in 2003. He was a director for Glasgow, the year of Design & Architecture in 1999. 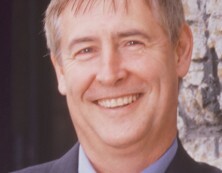 He has advised many of the world’s leading organisations on identity, branding, communication and related matters; these include 3i, Akzo-Nobel, Repsol, Q8, The Portuguese Tourist Board, BT, Prudential, Renault, Volkswagen and Tata. 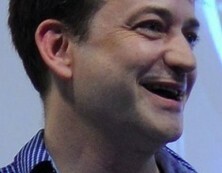 He has worked in the public sector with the Metropolitan Police, the National Housing Federation and many other bodies. 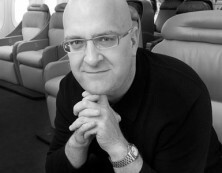 He has worked with a number of countries on branding issues. 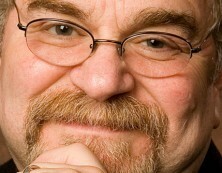 He has also acted as advisor both to McKinsey and Bain on branding and marketing. I caught up with Wally on the phone (Skype) to London on Wednesday 22nd of March, 2006, 11:00 AM. Most people realize and acknowledge that products or services are without a doubt connected to brands. Nevertheless, it is not always very clear what this connection is. Especially when it comes to ascribing a level of importance to either one. How do you see the relationship of products and services with brands? If you look at products and services traditionally, nobody thought through the idea in the early twentieth century. Letâ€™s say Ford Motor Company. Ford didnâ€™t look through the idea of creating a brand, but he intuitively created a brand. Very often brands are created by people who arenâ€™t aware that they are doing just that. Every activity has a functional basis, you buy it on the base of its price, its quality and service. It also has an emotional content. Sometimes this emotional content is very deliberately and very carefully created. And sometimes this emotional content emerges in a very implicit rather natural way, from the personality of the people who run the business. The answer to your question therefore is, that virtually every product or service is both functional and emotional in content, so brands exist. So, when you would say that emotional content is deliberately put into a product. How would that be done? Itâ€™s done in all kinds of ways. A ladies hairdresser, for example, who has a very flamboyant way of dressing and personal style. He creates a salon which is very much an extension of his own personality. Then he has already started to create a brand. When he makes two, five or ten of them, he has created a brand. He has done it implicitly though, he doesnâ€™t know. If you ask him the question, he wonâ€™t be able to answer because it was done implicitly as a result of his own feelings about what he does. On the other hand, you can have organizations like ours, who very carefully examine a market place and see where the opportunities to create a new brand come, because the three, four or five brands that already exist in the market place havenâ€™t covered a particular spectrum. In which way do you focus on the emotional values of products or services when you are asked to (re)invent a brand for a client? Well, when you take for example AKZO, which we worked for, letâ€™s say twenty years ago. AKZO was created from a whole set of different organizations which came together. It needed to present both to the people who worked inside it and to the outside people who dealt with it (suppliers, customers or anybody else) an idea of what it was. Particularly in relation to its competitors. So we very deliberately created that idea, but we looked inside the organization for characteristics that we could accentuate and develop so that the reality of the organization as it emerged was expressed through the brand. The brand wasnâ€™t an entire artificial construct, it came from the nature of the business. If on the other hand, you are talking about something that begins completely from scratch, from nothing, like Orange. Then you have to look at where the market place is and what the opportunities are, and see what you can do to create something that fits competitively in that market place. You do that partly through the examination that I have just described, but you also have to make it work so that the people inside the organization have to live the brand and understand what it stands for. That is much harder in a service brand than in a product brand. It is on the basis of evoked emotional response that brands become differentiated in the minds of consumers and acquire the status of preferred brands. In your opinion, which aspects of â€œbrand“ are the most important in evoking the right emotions to acquire this important status? Well, if you take the example of Lloydâ€™s, which is probably the best known insurance brand in the world and had 300 years or so that itâ€™s been in existence. It had a particular way of being, a particular style or way of projecting an idea of itself. What we have done recently, is refresh that, renew it and we have used the phrase â€œconstant originality”. This phrase doesnâ€™t describe a new Lloydâ€™s, it describes what Lloydâ€™s is. And when you would have to describe which aspects of brand are most important in creating such a brand? Or is this too hard to say? As I have said on a number of occasions and as I have also written in the book, I think that almost always you have to have the functional aspects of a brand right. The product, the price, the quality and the service have to be as good as the best of the competition. It isnâ€™t absolutely always the case, but itâ€™s mostly the case. And then you have to have something inside the brand, which makes people feel that â€œthis is what I want to be associated with”. In other words, the brand adds something to me. I donâ€™t buy the brand so much because I like the brand. I buy the brand because it adds something to my own feeling about myself. Thatâ€™s the key to a successful brand. If you look at motorcars for example. Theyâ€™ve all got four wheels and they all go as fast as you need to go, because there are so many speed limits all over. So why do people buy very large and fast cars that use a lot of fuel? Because they demonstrate something about themselves. I am a victim of this as well, I am just as bad as anyone else (laughs). I also have cars that I donâ€™t need, but I like them. Is this the concept of â€œself-image“ they so often talk about? Yes, I think you could describe it as that. 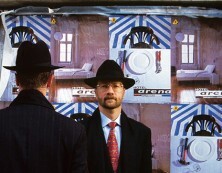 The concepts of self-image and brand identity and brand value are mentioned frequently, mainly in the academic world. It is argued that the match a person makes between his or her image of â€œself“ and the identity and values of the brand, defines the relationship and feelings a person has with a brand. Well, it does to a certain extend. It depends on what brand you are talking about. This really particularly applies to luxury brands. I guess that when you buy breakfast cereals, whether you have Kelloggâ€™s, Nestle, or any other brand, it is not an issue of self-image, but rather an issue of what you think tastes nice. If you are buying a bag of Louis Vuitton or some cognac, then self-image is much more significant. So, when I would ask you how you see this definition of a relationship manifested in the â€œreal world“, you would most certainly refer to luxury brands? Most certainly, but it is also true for charity brands. You have mentioned several kinds of branding now. Where would you say is branding going? That is a question that everybody asks. Well, it is going in many directions but one of the directions itâ€™s going in, is creating a much greater awareness of charity, of the world around us. When you are talking about sustainability or when you are talking about fair trade or giving money to charities. The point about a charity is, that it has only got emotional content. It doesnâ€™t have any functional content; you donâ€™t get anything â€˜ofâ€™ of giving something to a charity. Except that you derive emotional satisfaction, there is no functional satisfaction. That is very interesting, because if a charity can get itself in a situation that it does something for my self-image and I associate myself with a charity because it makes me feel good about myself. And that is, if you like, the ultimate brand. Just because the brand has got no functional content at all. It only exists emotionally. And I think that is a very interesting phenomenon that is going to happen. Because as people get richer, and I am talking about in the West, then there will come a time where you have several houses, or several cars, etc. How many more things can you have? So people will begin to get their satisfaction increasingly from emotion, self-image if you like, of being nice, of being good, of behaving properly. So, seeing brands like Apple and Coca-Cola as the ultimate brands is outdated? I think it will be outdated, I donâ€™t think it is outdated yet, but it will be in a few years time. In a few years time the ultimate brand might be the Red Cross. There will be brands that wonâ€™t have any functional content and therefore only emotional content. And those brands are probably going to be charity brands. You have said that one can forget about branding when the product is not good. This appears to go against the general idea that with branding, one could even make a â€œturdâ€™ popular and attractive. Why is this such a big misunderstanding? Well, you see, if you take the view that people are stupid and you can talk them into anything, are very easily persuaded and buy any rubbish, which is boldly speaking Naomi Kleinâ€™s (NO LOGO) view. Naomi Kleinâ€™s view of the human condition is that people are stupid and do anything theyâ€™re told. That is not a view that I share. I think that if people find a product, buy it and donâ€™t like it, they wonâ€™t buy it again. You can see that from the collapse of brands all over the world. There used to be an airline called â€œPan Am” and it doesnâ€™t exist anymore. It was so important an airline that in Stanley Kubrickâ€™s film â€œ2001: A Space Oddity”, the spaceship had a Pan Am logo on it. He couldnâ€™t even concede, in 1968 when he made the movie, that Pan Am wouldnâ€™t exist anymore in 30 years time. There are plenty of brands that fail. General Motors, which was the largest company in the world, is falling to pieces. Why? Because it has lousy management and lousy products. I donâ€™t believe, that for the most part, people buy things that are no good. In â€œOn Brand“ you give a thorough description of where brands came from and what happened when they grew up. Advertising has shifted mostly from informational (for example this drink contains herbs) to transformational (you are extremely cool when you drink this). And now, the talk of the day is â€œemotional branding“: creating long-lasting emotional relationships between consumers and brands. What, would you say, is new about that? Or are we just finally giving the old dog a name? There is nothing new about it at all. It is quite clear that people have long emotional relationships with each other and they have long emotional relationships with dogs and cats and you can also have a long emotional relationship with an armchair! You can have a long emotional relationship with whiskey. This is the brand of whiskey I like and that evokes in me all kinds of feelings that other brands of whiskey donâ€™t evoke. Now, this is not necessarily because of what it tastes like. Itâ€™s because of the relationship, the memories that it brings back. 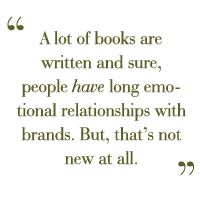 A lot of books are written and sure, people have long emotional relationships with brands. But, thatâ€™s not new at all. It is very important to try and understand the emotional relationships if you are making brands work and how you can continue to do that for a long time. But there is another thing that you have to remember. At the same time as people create long lasting emotional relationships with brands, there is also the element of fashion. So, at one level you have a long lasting relationship and at another level you can have a relationship that can last five years or five minutes, because it goes in and out of fashion. And there are also situations in which you want to continue to like the brand, but you canâ€™t because the brand doesnâ€™t behave in a way that you find attractive. The collapse of Rover, or the whole British motor industry, took place despite the fact that many people loved those brands. They loved MG, they loved Rover, but when you continue to make lousy products and tread people badly, in the end they get sick of it. How much do brands influence our taste for and reactions to a certain product? Well, the implication in the observation that you just made, is that functionally Coca-Cola was less attractive than Pepsi, because when you are blind fold you prefer Pepsi. I accept that that is true, and God knows how many times people have played that game. The point is though, that they are not entirely functional products. These are products that give you satisfaction. If you take the example of the Lousi Vuitton handbag. Well, if you want to have a bag that carries things around youâ€™d be better of going to a supermarket and get a plastic bag. That carries things around better and is probably more effective. But the Louis Vuitton bag or letâ€™s say the Coca-Cola bottle is an emotional statement as much as or perhaps even more than a functional statement. So, while there are some brands, and we talked about this earlier, where the function is very important, there are others where the emotional issues are more significant. If I would have to go to a bank and I would like to make a statement about myself, I would probably go to a private bank, with an elite name and an elite style. This issue of emotion and function, very much depends of the product. You might say that products and service people are the interface between us and the brand (as an entity). The complexity and the feedback of this interface is crucial in the emotional relationship between brands and consumers. Though the quality of a product is easier to manage beforehand than something intangible as a service experience. In your book you argue for companies to see the importance of educating people who provide service to consumers. Isn’t that the hardest thing to do? Yes! It is very hard to do. We have to remember that marketing grew up through companies like Unilever and Proctor & Gamble. You made ice-cream, soap, or whatever the product was. And you made five, ten, fifteen or a hundred million of them while the consumersâ€™ reaction was always the same. Thatâ€™s how marketing began. Marketing is now moving into services and every time you have a relationship with a service provider, the relationship is different. Every relation, every transaction that happens is different. And that is very difficult to manage. Especially by marketing people, because they have never traditionally needed to understand that every transaction is different. When you have checked and tested the product thoroughly, for ice-cream the consumersâ€™ reaction is going to be the same, but when you are running Vodafone or DHL this is not going to be the case. People find that incredibly hard to understand. Your latest challenge has been to brand nations. When I think of the brand â€œEspaÃ±a“, Spain, which you use as an example in your book, it occurs to me that it has been mainly used to brand Spain for tourist purposes. It is great to see that Spain is using logoâ€™s and identity even internally in the same way to promote the various provinces like Galicia or AndalucÃ­a. Of course, we have seen the enormous change in Spain since the death of Franco in 1975 and Spain has been very successful to export their identity of a rapidly modernizing nation. Companies like Telefonica and Repsol are big international players and confirm these views on modern Spain. But, are the success stories which changed people’s views on Spain all around the world a result of efforts to brand the nation, or has it been the other way around and was the success a lead to get to brand the nation a lot easier? In your book you mentioned it is mainly a task of governments to manage this. I understand your point. Well, it is very difficult to be clear about this. 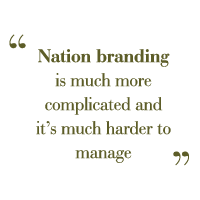 Nation branding is very different from commercial branding. It’s much more complicated and itâ€™s much harder to manage. In fact you can hardly manage it… You can half-manage it. Some of the issues are the same. Your interest in tourism, your interest in investments, your interest in brand export, for example. But, what you can’t control is the way the nation is perceived, in terms of public diplomacy. Three or four years ago, nobody had an idea of the Ukraine and then something called the Orange Revolution happened. The Ukraine appeared very briefly and very clearly on the public map. Now it has slightly disappeared again. But for a time, the Ukraine was very significant. Now, that kind of thing doesnâ€™t happen very much in business. So the issue of public diplomacy which affects the way in which a nation is perceived is very different in the commercial context from the way it is in a national context. The second issue is that nobody is in charge. In a commercial context there is somebody in the end in charge of the program. In a national context this is very difficult to know, because it is partly public sector, it is partly private sector, the tourism authority wants to handle it, foreign direct investment people want to handle it, etc. The political partiesâ€™ vision is very short, they want to change things in two, three or fours years because thatâ€™s the time they are in office. Then somebody else comes in office and has a very different view of the nation. So, the whole business of managing it is extremely difficult. However having said that, it is undoubtedly the case that in certain situations where the reality does change over decades, perceptions very often lack behind them. And very, very few countries are satisfied with the way they are perceived, because they are perceived through stereotypes. So, the nations increasing attempt to match the perceptions with the changing reality. We have been recently working with Poland, which is not an easy country to work with. It is with 40 million people the same size as Spain, its influence in Eastern Europe should be the same as Spain in the far West of Europe. Perceptions of Poland remain very much stuck in a world of grey, poor, autocratic, cold, communism and all that kind of stuff. And Poland is rapidly changing and is becoming more and more like any other country. So, it is very hard to deal with it and it particularly in Poland where the politics are very unstable. Having said that however, it is not good for a nation to have a perception that is miles and miles away from its reality. So, when you are on this assignment and you come in in Polandâ€¦. Where do you start? Well, you start in finding out how the nation perceives itself and how it is perceived by various target groups. How is the nation perceived internally by rich people, by poor people, by urban people, by rural people, etc. What do the Russians think, what do the Germans think, the French, Dutch, etc. You have to try and check these perceptions against the reality and then you have to think again: what is the brand, what is it that makes this country different. And it isnâ€™t a case of sun, sea and sandâ€¦. Well, not in the case of Poland anyway (laughs). Wally, this seems very big already. What would be the next challenge? Are there any? Sure! Well, thereâ€™s branding charities, what we talked about earlier. And there is the whole issue of the corporation that is now hollering out, so you can very easily find a company like Virgin. A company that consists entirely of attitude. It doesnâ€™t really make or do anything. Virgin goes into hotels so then it is a hotel business, it goes into banking, etc. So you are going to have companies that are only about attitude and that means that the brand is going get even more important. Ok, Wally, thank you very much for this conversation. Ok, very nice to talk to you.